Our building inspection services step well beyond rudimentary structural, utility, HVAC, plumbing and project specification assessments, to providing the kind of specialized information that ensures long-term security in a job well done. We provide fee schedule alternatives that consider fairest and best uses of monies for both the builder or developer and the municipality. These include the traditional building permit fees based on a percentage of the square-footage, building permits issued based on a percentage of construction cost (more expensive homes = higher fees) and building permits that incorporate a fixed municipal fee and generate revenue directed specifically for municipal coffers. 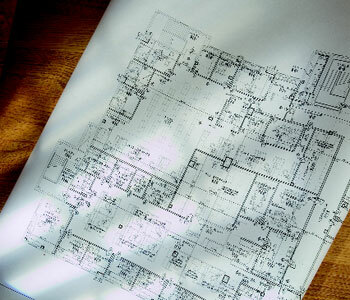 Our in-house inspectors carefully evaluate individual projects against not just blueprints and specifications, but against criteria that more efficiently monitors the quality of projects under development in your community. This ensures that codes, zoning regulations, statutes and ordinances are strictly enforced, providing regulatory consistency and sidestepping costly legal entanglements that can occur when interpretation goes unchecked.